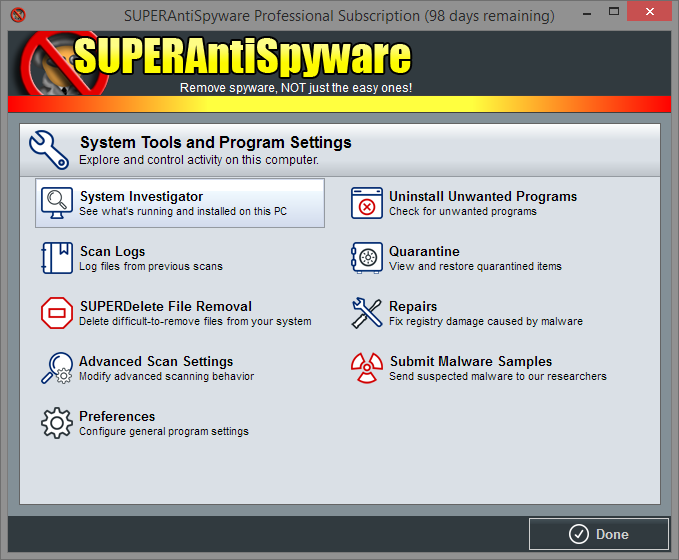 Below are some of the main screens of SUPERAntiSpyware Professional Edition. From the main interface you have one-click access to all program components. Run or schedule a scan, review scan logs and quarantined items, access system tools and more. 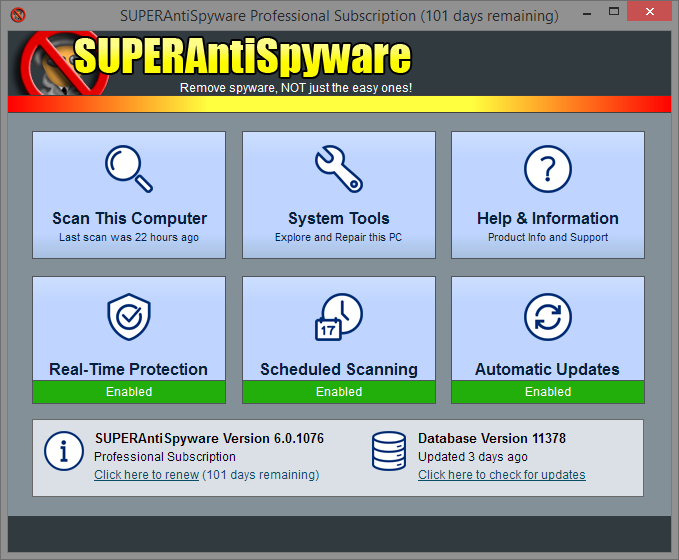 With the Professional Edition, real-time protection, scheduled scanning, and automatic updates will be enabled. 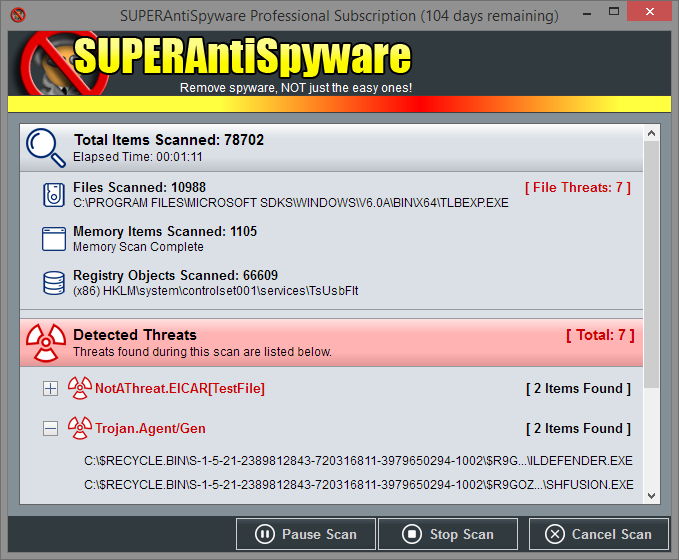 Review detailed information about the malicious threats detected and removed from your PC. 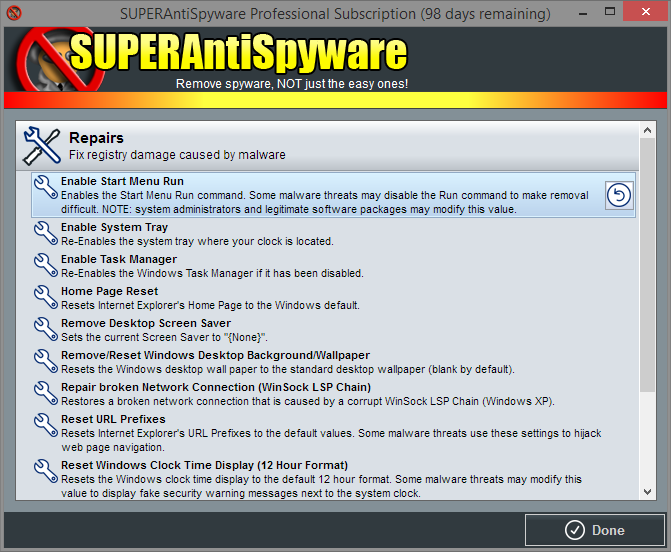 Receive immediate updates when malware is blocked from harming your PC. 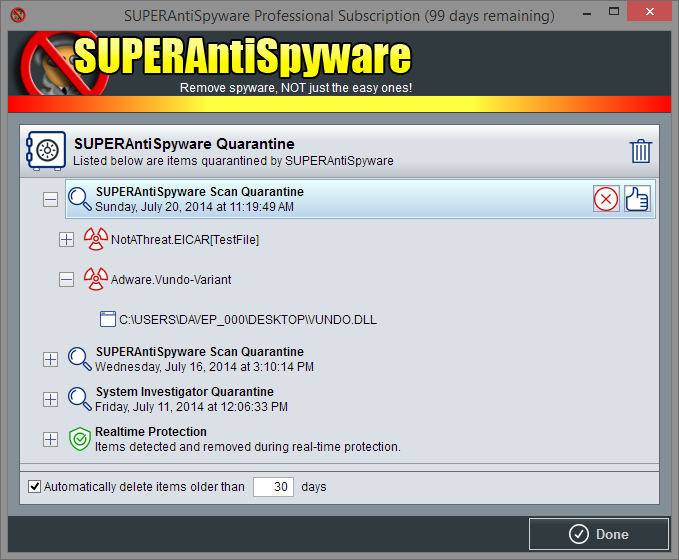 Assess the programs and files running on your PC. 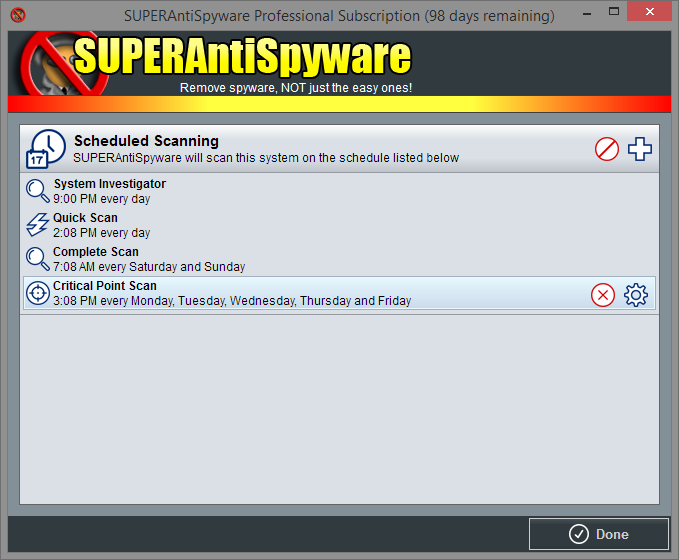 Setup scans to run on your schedule. Inspect a list of potentially harmful threats that have been quarantined. 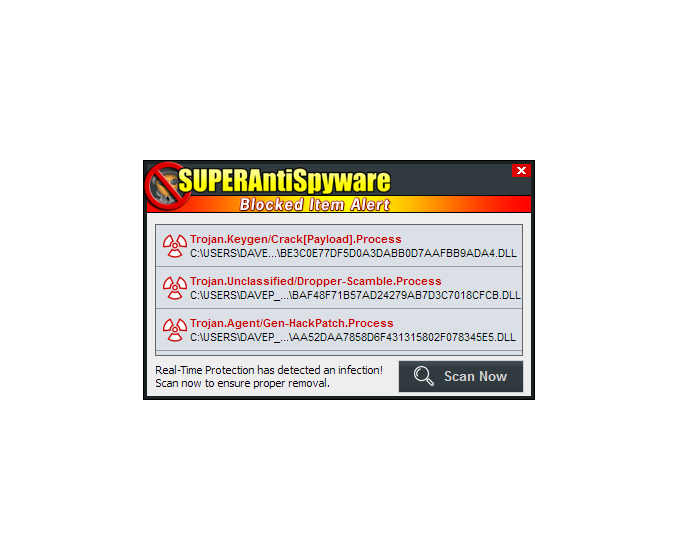 Easily fix common PC issues identified by the scanning engine. 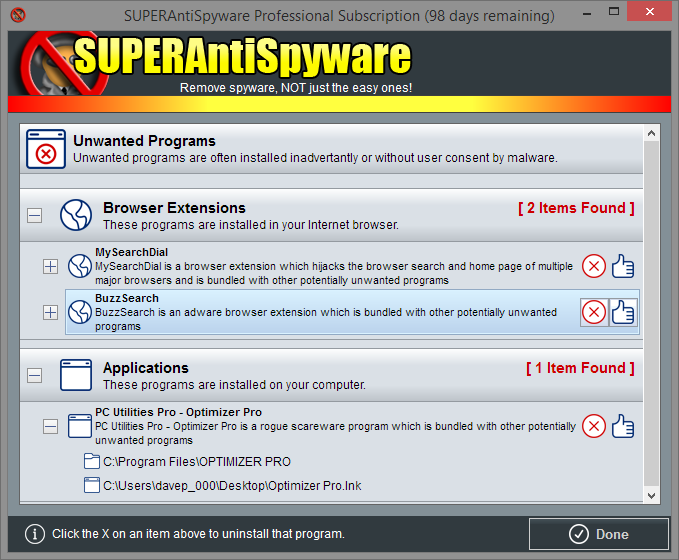 Access and adjust program settings and system tools. 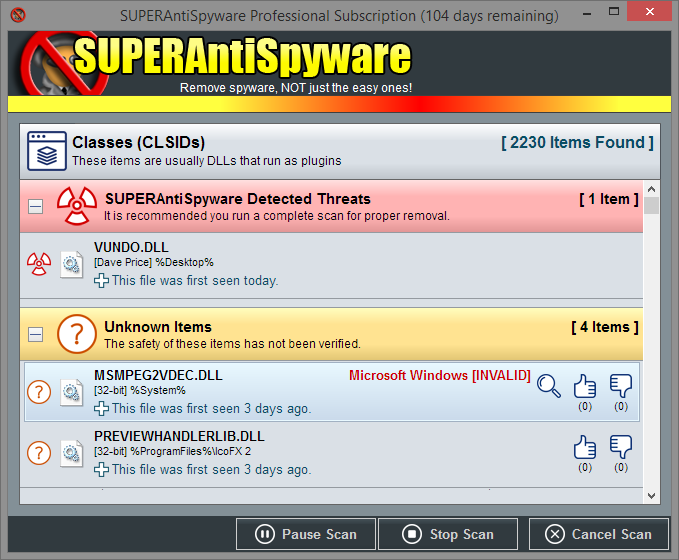 Evaluate a list of programs that can be removed.